Wedding Gift Registration has become much computerized and much easier to do. Couples can go to stores to register for gifts or use the Internet, which makes the availability of gift registries that much easier. 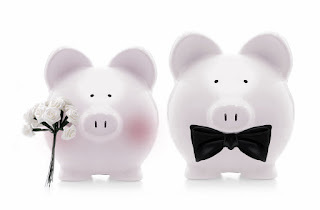 Couples can even create wedding wish lists at sites like WhereBridesGo.com, so family members can contribute by purchasing wedding supplies the bride and groom have picked out for the wedding. Most importantly, offer your friends and family the convenience of an online gift registry. How long does it take to get your gift registry up and running? Does the store have a toll-free phone line? Do they accept phone purchases? Do they ship gifts? Any additional charge for this service? How long does your registry list stay in their records? What Can You Register For? While many couples still stick with the tried and true china, silver, and crystal, many more are branching out and availing themselves of the huge number of choices out there, from honeymoon trips to charitable donations. If you go with traditional items like china and silver, you'll probably need to spend some time deciding on which patterns and styles both of you like before you actually venture out to register for it. Go window-shopping, browse online, or look at magazine ads to get some great ideas of what is available before registering. Occasionally, a gift will arrive broken or damaged. If the gift was sent directly by a department store, you can contact the store. Their customer service department will most likely see to the replacement of the gift. Even with computer registry, duplicate gifts happen. It is not necessary to tell the gift giver that you returned their gift. Simply return the gift and select another item in exchange. Try calling the store to see if you can track the gift that way. If it didn't come from a store, check the package for a hint as to where it came from, geographically speaking. Hopefully that can help you narrow it down. Also check with your parents and close friends, maybe they can help you determine the mystery giver. When a wedding is called off or canceled, all of the gifts need to be returned to the givers, even the monogrammed and personalized ones. Include a brief note with each gift you're returning; thanking the person for their thoughtfulness and explaining that the wedding will not be taking place. DO complete the registration process by the time you send out your invitations. You may want to register earlier so bridal shower guests can select items from your registry. DO realize that just because you've registered for it doesn't mean you'll get it. DO register for enough gifts with respect to your wedding list. If you've invited 300 people, make sure and register for that many gifts. DO register at a wide variety of locations that all your guests will have access to. DO register for items with a variety of price ranges so that guests have a choice of gifts to select from. DO keep track of every gift you receive and who gave it to you (you will need this later for writing your thank you notes). DO plan for guests who bring their gifts to the reception instead of having it sent directly to you. Set aside a gift table where guests can leave their gifts. You'll want a special basket or box for envelopes that contain money. Assign someone to be in charge, making sure to tape the cards to the packages and guide people to where they can leave them. DON'T select items that are so expensive that few people you know can afford them. You must send a thank you note for every wedding (shower, engagement, etc.) gift you receive. The note must be written by the bride or the groom. Unlike other wedding tasks, this one cannot be delegated. The thank you notes must be sent out in a timely fashion. This means two weeks for gifts received before the wedding. For gifts received after the wedding, one month is recommended. Buy all your wedding thank you note stationery and supplies early on and keep it handy. Keep careful track of who gave you what. Write the note as soon as possible after receiving the gift. If you have several notes to get out at once, prioritize them according to which gift giver is most likely to be offended by a late note. For notes written before the wedding, you must use your maiden name. Make sure both of you do your part in writing those notes. Mention the gift in detail in the thank you note and add a line or two on how much you enjoy it or how you plan to use it. Add a conversational line or two to make the thank you note more personalized. If the gift was money, thank them for their generosity or generous gift and mention what you plan to use it for. Never mention the amount. WhereBridesGo.com is the ultimate online wedding supply store, with thousands of wedding accessories and wedding favors to choose from! Free shipping on all orders over $100. Visit WhereBridesGo.com and use coupon code BLOG to take 10% off your entire order!